Marijuana Strains with super cool names are showing up everywhere , and you may get overwhelmed by those hundreds of different names and etc. Unfortunately many of them are just copycats from existing strains with only a different 'cool' name. So how/what to choose? Which one is the best? Which one is the Real Deal? Some are much harder to grow than others. Similarly, some have been engineered to be easy to grow, resistant to pests and can handle a lot more stress. The less experienced the grower, the more important it is to choose an easy strain to grow. White Widow is probably the world's favourite weed. 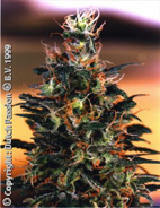 Winner of the 1995 Cannabis Cup, it is among the most popular varieties on coffeeshop menus in Holland. White Widow Buds are fairly compact to support its massive amounts of white resin. White Widow gives a powerful buzz, being both energetic and very social. With THC levels at approximately 20%, White Widow seeds are one of the strongest strains in the world. This easy to grow plant is the most popular strain of Serious Seeds. It is of medium height and produces good yields quite quickly. Extremely STRONG odor and smoke. Take extra care with odor control when growing near neighbors. The name was given not out of any idea of violence, but more in association with the ‘one hit wonder’ that the smoke is. Quality without compromise makes AK-47 suitable for commercial grows or home use. These plants have a short flowering period for a sativa, producing compact, not too leafy buds that gleam with a coat of resin crystals. Winning EIGHT ( !! ) prizes in Cannabis competitions, including second prize for the best Sativa in the 1999 High Times Cannabis Cup, AK-47 proves it is a favorite to smoke as well as to grow. Winner of the Cannabis Cup 89, Big Bud has a high yield and produces big, heavy buds. Big Bud is another worldwide classic and has a reputation for producing high yields. It has a massive bud to low leaf ratio. The purpose behind creating Big Bud was to produce a plant with maximum yields. Subtle Skunk taste with a long lasting high. A champion of champions since winning its hat-trick at the 1997, 1998, and 1999 High Times Cannabis Cups and comprising of the most commercial strains known to the uncivilized world: Skunk, NL and Haze. Such achievements confer an undoubtedly regal pedigree. It has an excellent breed for those who wish to possess the stash of stashes and leaves one gasping for reality. This complex hybrid is in the cutting edge in practical Haze hybrids, designed to astound the grower and consumer alike. Recommendation is unnecessary as most people can not see the Haze for their daze. 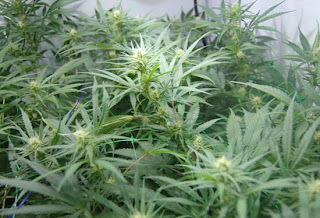 Flowering period: Expected finishing time for an indoor grow would be between 8-10 weeks of flowering. In the northern hemisphere by late October and in the southern hemisphere by the mid to late April. 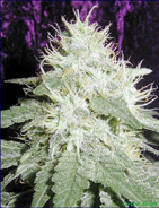 Dutch Passion's original Blueberry is a mostly Indica (80% Indica, 20% Sativa) strain, that dates to the late 1970’s. An inmense popular cannabis strain. A large producer under optimum conditions. A dense and stout plant with red, purple and finally blue hues, that usually cure to a lavender blue. The finished product has a very fruity aroma and taste of blueberry. It produces a notable and pleasantly euphoric high of the highest quality and is very long lasting. Medium to large calyxes. “Blueberry” has a long shelf life. Northern Lights is one of the world's most famous marijuana strains. 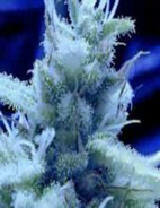 Very popular for indoor growing and produces large crystalline buds. Has a high flower to leaf ratio. Northern Lights seeds won Indica cups in 88, 89 and 90 and is one of the most acclaimed strains of all time. Highly recommended for indoor growing. 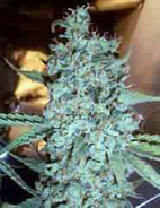 Northern Lights seeds can be grown outdoor too. Ice seeds are the winner of the 1998 Cannabis Cup. It is a new classic with high THC and brings together excellent genetics. A special cross of Afghan, Northern Lights, Skunk and Shiva, Ice is an excellent commercial strain due to the fact it remains short, harvests big and is very strong. Its flowers are intensely covered with white crystals. Ice seeds are excellent for hydroponic growing. The smoke is sweet and the stone very heavy; it’s one of our favourites. Ice seed are considered to be of medical interest. Need we say any more! Afghan is a well known variety worldwide. Originally taken from Afghanistan, it was cultivated in Holland. 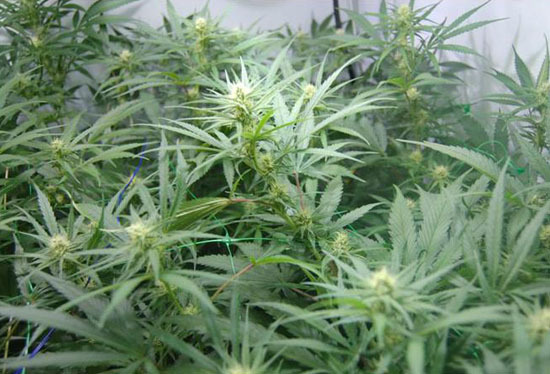 The plant produces round fat leaves and fat buds, with excellent yields and a high flower to leaf ratio. Afghan shows excellent resistance to pests and disease. It has rich, smooth hash like smoke with a numbing buzz. Always one of the most popular strains with high levels of THC. One word ‘Monstrous’ describes this plant best. A huge producer with giant cola’s that will make any ‘bud waver’ happy. Absolutely the best indoor producer T.H. Seeds has seen yet. But beware, they don’t call it Heavy Duty Fruity for nothing, this plant smells strong. So air cleaners or ozone generators are suggested. Heavy Duty Fruity merges big production with quality and strength. Who says commercial yielding plants have to be low in quality? Ideal for plantlet method 20-30 p.s.m. Chocolope, which was originally named D-Line, is a novice grower's dream plant! With a uniquely heavy yield and large heavy nugs, she is extremely easy to grow. This Sativa heavy plant likes to grow tall so beware if space is an issue, however she can grow out with a little training. DNA Genetics chose to cross their Original Chocolate Thai female with the Cannalope male, and then started backcrossing this to achieve a shorter flower time and still retain some of the Original Chocolate Thai qualities. What makes these Cannabis Seeds so special is that when you enjoy her you taste that chocolate you've been missing from the 80's! The Chocolope is the "ONE"! Not much haze, but you don't need it. Congratulations! This is the best thing, Thank you so much for taking the time to share this exciting information. 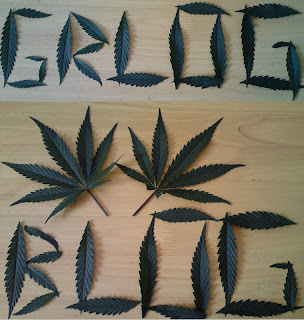 You have shared very descriptive information about "growing marijuana" ,.Thanks,..
Tangie has a strong citrus aroma. In such cases it does not solely damage the body of the addicted person however additionally leaves many negative effects on the brain. during this article we'll study regarding those negative effects in detail: If you want to know more then please visit our Cannabis Stores in Dundee website. Really impressive blogpost. Recently put up one about ​AKC Registered Teacup French Bulldogs and Boston Terrier Pups For Sale. I have been doing a little research lately on fennec foxes as pets and discovered that they can help alleviate stress through the companionship. So people can finally stay off anxiety pills. If that is too much to ask, I prefer people consume medical marijuana or use thc vape cartridges for vape juice rather than consume pain pills. Buy Weed Online UK, Mail order marijuana on Medical 420 Shop UK. Wide variety of Weed for sale UK, Concentrates, Edibles, CBD and THC Oil for sale. Medical Weed Online Shop is one of the largest and highest rated marijuana delivery services in Village Valley California. Their customer service is second to none. After a quick age verifying procedures that you can do on their website, you can have some of California's best marijuana on your doorstep in minutes. They are known for their wide variety of cannabis indica strains for sale, but they also carry cannabis sativa for sale and hybrid weed strains for sale. If you are into marijuana edibles they also have plenty of tasty treats to choose from. We have included just a small selection of their best selling cannabis for sale along with marijuana pricing. Please note that cannabis availability and prices are subject to change at any time so please their website for a current product list and marijuana prices. We are proud to market their marijuana services and hope you will try them out today!